Chicago, IL.-Dedication, passion and Hellenic pride filled the Windy City as young Hellenes from across North America united in talented performances America’s Greek Dance & Choral Competition concluded its three day festivities in Chicago founding its inaugural folk dance & choral competition. Congratulations to all the participants and volunteers for their enthusiasm and positive energy. Their love for our culture motivates them to achieve success. On Friday Oct.9 the AGDC executive board together with the president of the World Council of Hellenes Abroad U.S.A. Region, Mr. Theodore G. Spyropoulos and Fr. Chrysanthos Kerkeres joined in a ribbon cutting opening the doors to the inaugural ceremonies. A. procession of the American, Greek, Canadian, State of Illinois and AGDC flags entered the room as Marianna Veneri sang the American National Anthem followed by Anastasia Kakagiannis with the Canadian and Andreas Kalamatianos with the Greek. Fr. Crysanthos Kerkeres gave the invocation and also conveyed a message from His Eminence Metropolitan lakovos of Chicago. Mr. Theodore Spyropoulos welcomed the participants and gave his heartfelt wishes for a successful weekend. The ceremonies were hosted by Jenny Saiger, from Boca Raton Florida and Emceed by Aris Maragoudakis and Anastasia Cucuras. A parade of the participating dance & choral groups followed while every director placed a piece of a puzzle with their name on a board that completed our on-stage puzzle focusing on the theme “We Are One”. Ohana Polynesian dancers entertained the audience with a fire show and a grand finale inviting everyone on stage to dance “Zorba the Greek” with them. Aggeliki Christofilopoulou, Public Relations of Dora Stratou, the world leading National Dance Theatre of Athens Greece ended the ceremonies with a costume fashion show, spotlighting traditional costumes from various regions of Greece, including Macedonia, Thessaly, Thrace and the islands. The evening then continued with food and a Glendi. On Saturday Oct. 10, dance groups were placed in two divisions. Division I consisted of under l8 years old and Division II over 18 years old. On the judge’s panel sat Dr. Mary Coros, Kiki Papadimitriou and George Papangellin. The competition started in the morning with Division I semi final round by “Nefeli” from Toronto Canada, “Neolea” from Chicago South Suburbs, to “Omega” from Fort Wayne, Indiana and “C.Y.C.” from Chicago, IL. Continuing with Division II, semi final performances were made by “Orpheas” from Montreal Canada, “Labrys, from Astoria NY and “P.A.H.D.” from South Florida. Amongst the honored guests encouraging the dancers were His Eminence Metropolitan Iakovos of Chicago, Theodore G. Spyropoulos President SAE U.S.A Region with his wife Erika, Consul for Education in Chicago Mr. Nikos Nikolidakis, Chris Avramopoulos Youth Director Metropolis of Chicago, Hon. Theodore Laliotis, SAE U.S.A. RCC, Stella Kokolis SAE U.S.A.R CC, Maurice Gritzalis Youth Coordinator SAE U.S.A. Region and Eleni Sopasis, Pan Cretan Youth President of America. Following the competition, the participants attended a workshop instructed by Marina Christofaki of Dora Stratou School of Dance. The evening began with the Theatrical Scheme of Director Leonidas Loizides, “Trojan Woman” by Euripides and music by Mikis Theodorakis, followed by a Glendi with live music by the band “Paradosi” with Dimitrios Dallas, Vasilis Hioureas, Dimitri Papadimitriou, Jordan Elrod and John Themelis. Some of the participants also had the pleasure of attending the Elli Kokkinou & Giorgos Christou concert presented by Portokalada.com. On Sunday Oct. 11 the Morning began with the final round performances of all the dance troupes. Followed by the choral competition with The Hellenic American Academy of Deerfield, Illinois Choir and vocalists in solo performances, Anastasia Kakagiannis from Toronto Canada, Zoi Samonas from Toronto Canada, Andreas Kalamatianos from Montreal Canada and Maria Mourikis from Chicago, IL. On the judge’s panel for the Choral competition were from Greece’s Fame Story Giorgos Christou, Katerina Veneri, Mixalis loanidis and Pantelis Michailidis. Instructor Marina Christofaki along with Aggeliki Christofilopoulo and Adamantia Angelio from the Dora Stratou School of Dance, presented another dance workshop covering various regions of Greece. The Awards Gala was held in the evening hosted by Hollywood personality, Patricia Kara from NBC’s Deal or No Deal. His Grace Bishop Dimitrios of Mokissos along with Fr. Chrysanthos Kerkeres gave the invocation. Greetings were made by Consul General of Greece in Chicago, Ambassador Anastasios Petrovas, Commissioner Mariyana Spyropoulos, Mr. John Manos, lst Vice President of the Pan Cretan Association of America, Steven B. Livaditis, Portokalada.com and AGDC Humanitarian Award recipient Mrs. Maria Karahalios. Also in attendance were the Hon. Dorothy Brown, Clerk of the Circuit Court, Vice Consul Vasiliki Grivitsopoulou -Lemou, Stella Kokolis SAE U.S.A. RCC, Mr. Chris Tomaras, President, Pan Hellenic Scholarship Foundation, Mr. Dimitrios Kotsakis Executive Director of the Hellenic American Academy, Mr. Bill Mataragas President of the Zakinthian Society, Jim Ascot, Democratic candidate for Congress IL, Mr. Gregory Pappas, Editor & Publisher Greek America Magazine, Mr. Chris Kontos, President Sparta Society of Chicago, Maurice Gritzalis, Coordinator SAE U.S.A. Youth Network, Anthony PapadopoulosoS AE U.S.A Youth Network, Eleni Sopasis, President, Pan Cretan Youth of America, Sotiris Rekoumis Omogeneia newspaper & Hellenic Hour. A ten minute “Montage” music video of the weekend was displayed on the big screens through dinner. All attendees had the pleasure to watch the surprise performance of the magical duet from America’s Got Talent, David & Dania and special performance made by the magnificent Dance Theatre “Nefeli” from Toronto Canada under the direction of Mrs. Nancy Athan Mylonas. The AGDC Executive Board presented the Humanitarian Award to an individual from the community that exemplifies the necessary principals of being a Hellene: Pride, faith, contribution, spirit, dedication and perpetuation to recipient Maria Karahalios. The moment everyone was waiting for finally arrived: the awards. They were presented to the winners by the judges from each category. The support the participants gave each other was priceless, new friendships and enthusiasm filled the room as everyone shared the experience and the focus of the night’s theme “We Are One”. Reflections were made by Anna Housakos, AGDC Executive Director, who congratulated the participants and said “I think it is completely accurate to say that everyone of our dancers, singers and choir participants here today are winners”. She also thanked all volunteers and stated,” I am much honored to have been working with such a dedicated team of individuals on the organizing committee who have obligated countless hours for this event. Your presence here today demonstrates your dedication and passion to what unites a community. Promoting Folk dance& singing in a learning, fun filled atmosphere is what AGDC aspires to accomplish. It is a positive upbeat environment that also encourages competition technique, confidence and traditional merit”. 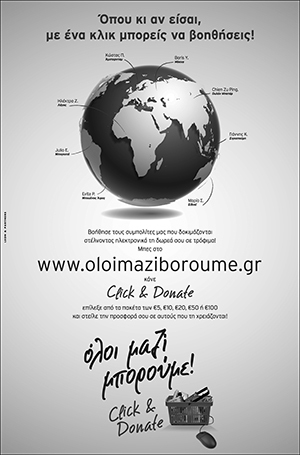 Previous article Editorial: The Importance of Raising Awareness of "OXI DAY"